43186 unusually runs along the down relief line at Denchworth on 14 July 2011. Presumably an ECS working (5Zxx Old Oak Common to Bristol is my guess) or possibly a crew training run (there are plenty of people in the cab). It stopped at the end of the loop at Challow to let two service trains past. 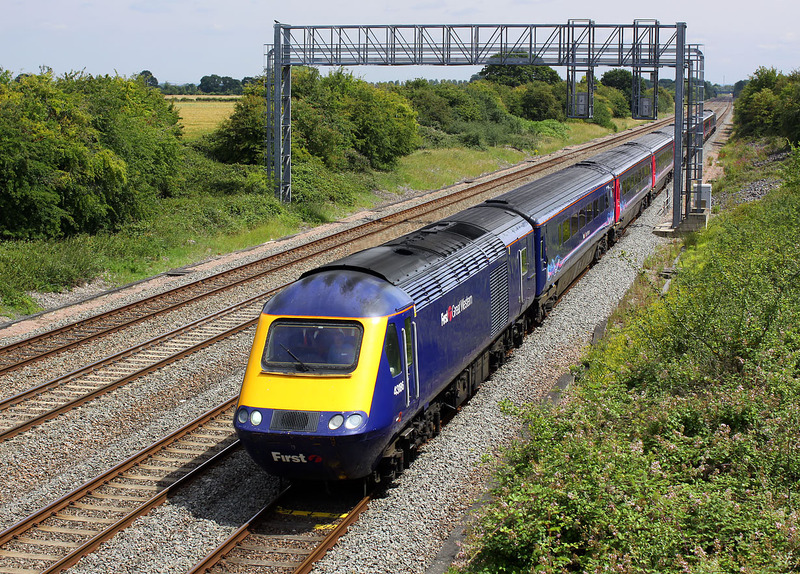 HSTs do not normally use these relief lines, but it is obviously not that rare, as I saw one ten days previously, and another later on during this afternoon!